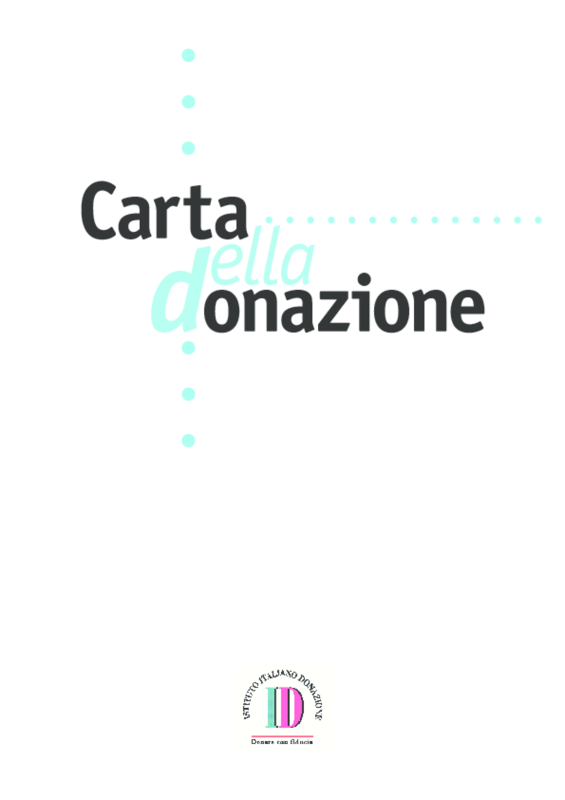 The Italian Institute of Donations was established in 2004 as an Italian non-profit organisation. A member of The International Committee on Fundraising organisations (ICFO), its purposes are to promote and foster excellence, transparency, integrity, fair management practices and ethical conduct in non-profit organisations as well as to verify and monitor whether certain organisations who apply for an accreditation by IID respect these values. The accreditation process is based on the 'Carta della Donazione' as a code of conduct for fundraising in the Italian non-profit sector. Copyright 2005 Istituto Italiano della Donazione (IID).